Sanitising of swimming pools by salt chlorination is the safest, most effective & environmentally friendly method of all. 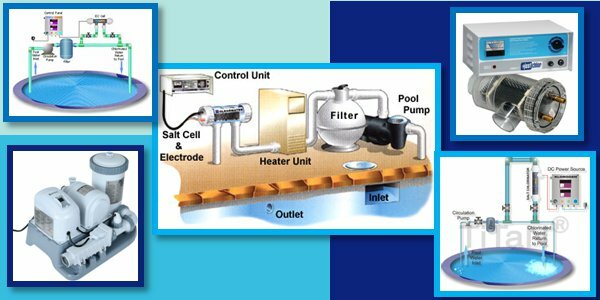 Salt chlorinators automatically generate the right chlorine level necessary to keep your pool free of algae & bacteria. Enjoy having a pool. The result of using salt chlorinators is healthier water that feels great & that looks good. 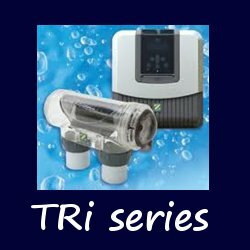 The TRi series ushers in a new era in water care with a range of modules that can be configured to suit every pool owner's individual needs. This is a first in S.A. and it's safe to say that there is no other salt water chlorinator that can beat the intelligence of this 1. TRi is more than a salt chlorinator ~ this is a SYSTEM!